Derya Akkaynak, Tali Treibitz, Sea-thru: A Method For Removing Water From Underwater Images, CVPR 2019. Deborah Levy, Yuval Belfer, Elad Osherov, Eyal Bigal, Aviad P. Scheinin, Hagai Nativ, Dan Tchernov, Tali Treibitz, Automated Analysis of Marine Video With Limited Data, CVPR 2018, Workshop on Automated Analysis of Marine Video for Environmental Monitoring [PDF]. 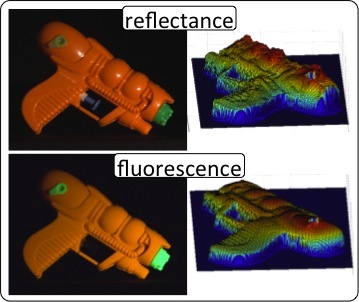 Derya Akkaynak, Tali Treibitz, A Revised Underwater Image Formation Model, CVPR 2018, [PDF]. Iñigo Alonso, Ana Cambra, Adolfo Muñoz, Tali Treibitz, Ana C. Murillo, Coral-Segmentation: Training Dense Labeling Models with Sparse Ground Truth, ICCV 2017, first international workshop on Visual Wildlife Monitoring (VWM 2017) [PDF]. Adi Zweifler, Derya Akkaynak, Tali Mass, Tali Treibitz, Analyzing Distribution of Coral Recruits using Fluorescence Imaging, Frontiers in Marine Science, 2017. Derya Akkaynak, Tali Treibitz, Tom Shlesinger, Raz Tamir, Yossi Loya, David Iluz, What Is the Space of Attenuation Coefficients in Underwater Computer Vision?, CVPR 2017, [PDF]. Ori Spier, Tali Treibitz, Guy Gilboa, In Situ Target-Less Calibration of Turbid Media, ICCP 2017, [PDF]. Dana Berman, Tali Treibitz, Shai Avidan, Air-Light Estimation Using Haze-Lines, ICCP 2017, [PDF]. Neal BP, Khen A, Treibitz T, Beijbom O, O'Connor G, Coffroth MA, Knowlton N, Kriegman D, Mitchell BG, Kline DI, Caribbean massive corals not recovering from repeated thermal stress events during 2005-2013, Ecology and Evolution, 7(5), pp.1339-1353, 2017. Zachary Murez, Tali Treibitz, David Kriegman, Ravi Ramamoorthi, Photometric Stereo in a Scattering Medium, IEEE Trans. Pattern Analysis & Machine Intelligence, 2016. Andrew D. Mullen*, Tali Treibitz*, Paul L. D. Roberts, Emily L. A. Kelly, Rael Horwitz, Jennifer E. Smith & Jules S. Jaffe, Underwater Microscopy for In Situ Studies of Benthic Ecosystems, Nature Communications, 2016. Dana Berman, Tali Treibitz, Shai Avidan, Non-Local Image Dehazing, CVPR 2016 (spotlight), [Project page], [PDF], [Dana's spotlight presentation in CVPR]. O. Beijbom, T. Treibitz, D. I. Kline, G. Eyal, A. Khen, B. P. Neal, Y. Loya, B. G. Mitchell, D. Kriegman, Improving Automated Annotation of Benthic Survey Images Using Wide-band Fluorescence, Scientific Reports, 2016. All data available for download. Y. Loya, G. Eyal, T. Treibitz, M. P. Lesser, R. Appeldoorn, Theme section on mesophotic coral ecosystems: advances in knowledge and future perspectives, Coral Reefs 2016. Zachary Murez, Tali Treibitz, David Kriegman, Ravi Ramamoorthi, Photometric Stereo in a Scattering Medium, ICCV 2015, [PDF]. G. Eyal, J. Wiedenmann, M. Grinblat, C. D'Angelo, O. Ben-Zvi, E. Kramarsky-Winter, T. Treibitz, Y. Shaked, T. B. Smith, S. Harii, V. Denis, T. Noyes, R. Tamir, Y. Loya, Spectral diversity and regulation of coral fluorescence in a mesophotic reef habitat in the Red Sea, PLOS One 2015, press coverage in Nature and the BBC. D. Akkaynak, T. Treibitz, B. Xiao, U.A. 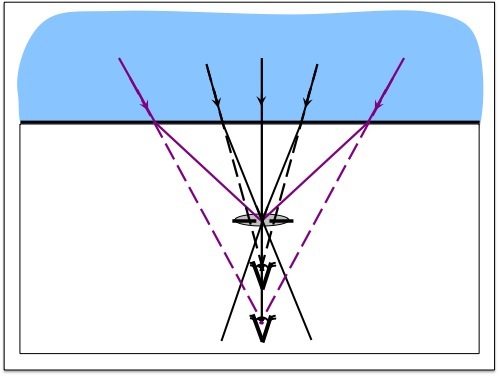 Gurkan, J.J. Allen, U. Demirci, and R.T. Hanlon, Use of commercial off-the-shelf (COTS) digital cameras for scientific data acquisition and scene-specific color calibration, J. Optical Society of America A., Vol. 31, Issue 2, pp. 312-321 (2014), [PDF]. Here is Matlab code used in the paper. Tali Treibitz and Yoav Y. Schechner, Recovery Limits in Pointwise Degradation, Proc. IEEE ICCP (2009), [PDF], . Tali Treibitz and Yoav Y. Schechner, Active Polarization Descattering, IEEE Trans. Pattern Analysis & Machine Intelligence, vol. 31, Issue 3, pp. 385-399, (2009). [PDF]. Tali Treibitz, Yoav Y. Schechner and Hanumant Singh, Flat Refractive Geometry, oral in CVPR (2008), [PDF], [errata], [demo movie]. T. Treibitz, Descattering, to appear in the Encyclopedia of Computer Vision, Ed. Katsushi Ikeuchi, Springer 2013. T. Treibitz, B. P. Neal, O. Beijbom, D. Kriegman, S. Belongie, D. I. Kline, B. G. Mitchell, Underwater Color as a Source of Scientific Data for Coral Communities, American Society of Limnology and Oceanography Aquatic Sciences Meeting, 2011, abstract. T. Treibitz, B. P. Neal, P. Roberts, D. I. Kline, O. Beijbom, S. Belongie, B. G. Mitchell, J. Jaffe, D. Kriegman, Wide Field of View Full Spectrum Fluorescence Imaging for Coral Ecology, International Coral Reef Symposium, 2012, abstract. T. Treibitz, B. P. Neal, D. I. Kline, O. Beijbom, P. Roberts, B. G. Mitchell, D. Kriegman, Wide Field-of-View Daytime Fluorescence Imaging of Coral Reefs, Marine Technological Society / IEEE Oceans, 2013. Sonke Johnsen, The Optics of Life: A Biologist's Guide to Light in Nature, Fig. 2.9.